If you would have told my 18 year old self that one day I would run for pleasure I would have laughed at you. 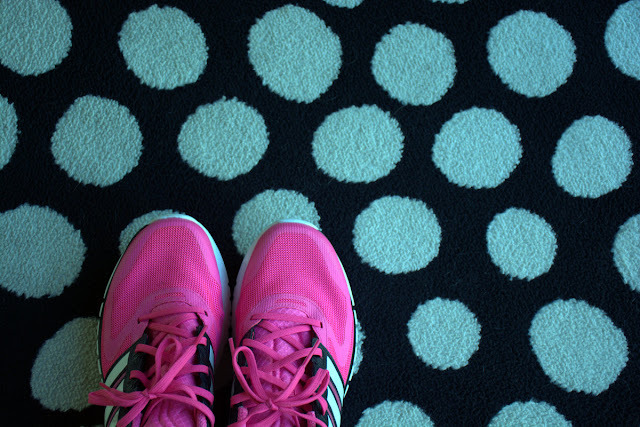 It all started with a simple couch to 5km programme two years ago and really I have not looked back. I ran my first 10km run last year and plan to run it again this year but to get my time under 1 hour. I am also rather addicted to obstacle course running completing two Spartan Sprints in 2015- there will certainly be a few more this year! I am also a member of Orange Theory and love their training; addictive, seriously hard work but super fun! I walk away from each class feeling amazing. Now if you’re a gym or fitness class goer there is no escaping the clatter of the protein shake bottles. I was curious? Was I doing something wrong by not chugging back some extra protein after my work out? I did lots of research on the subject and personally I feel that if I can meet my protein needs with whole foods then that is the route I take but if I am in a rush (most of the time), having a protein solution on hand is great. I love it for breakfast on days when I know I will be on my feet all day with little time to grab any food. I am currently using VEGA: protein & greens. I love that it has greens in it as well, two servings in fact! So for each drink you get 20g protein and 2 servings of greens. Add to that it tastes great too. I have tried some where the vanilla flavour tastes really artificial and the drink ends up being overly sweet and overbearing. So for me, a protein drink is the perfect solution for busy days, hard work outs and crazy mornings! I don’t see it as a replacement for food but there are times when it’s healthy and convenient to have a backup plan and Vega is my choice. Blend everything till smooth and add a little extra liquid if you like it runnier. I like it to be the consistency of a good thick milkshake. Vega Protein & Greens gives your on-the-go snack or breakfast a boost with 20 grams of plant-based protein. Made from real whole food ingredients, SaviSeed (sacha inchi), hemp, pea and sprouted whole grain brown rice protein deliver all essential amino acids you need. 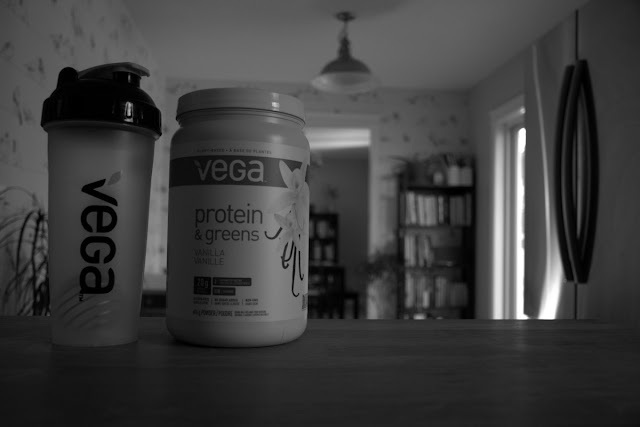 Each scoop of Vega Protein & Greens has the equivalent of two servings of greens from kale, spinach, broccoli, and alfalfa. Vega Protein & Greens is so healthy, delicious, and easy-to-make that fitting the goodness of greens into your on-the-go life will feel—and taste!—like a piece of cake. Enzymes produced by your body help to break down all the food you eat—protein, fat, AND carbs. These powerful enzymes can use a helping hand every now and again, which is why eating foods rich in natural digestive enzymes can help your body support healthy digestion. Papaya is a source of papain—a natural digestive enzyme. I was sent some Vega: Protein & Greens to try but I was not paid to say nice things. Photographs, opinions and terrible spelling is my own.